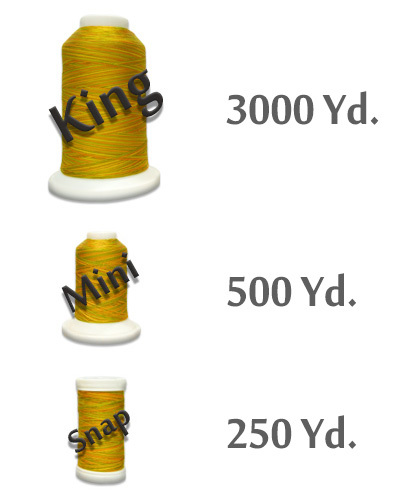 Size: King Cone - 3000 Yd. Mini King Cone - 500 Yd. Snap Spool - 250 Yd. We are excited to introduce a variety of new colors to our Ultra™ Cotton Solids lineup. In addition, while our existing colors haven't changed, they now have numbers that correspond to their matching UltraBrite™ polyester colors and some of the names have been changed to reflect their matching color as well. Please see conversions below. From Teresa Bradford of Decatur, Texas on 3/9/2018 . 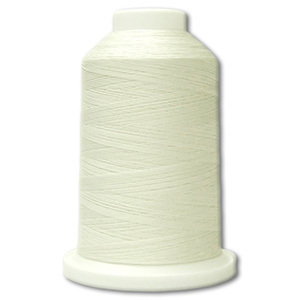 I love using this thread on my longarm. My thread was shipped & received very quickly. From Anonymous of Georgetown, Indiana on 9/15/2017 . Iris Ultra is my favorite thread. It is strong, smooth, and creates little lint. It is hard to find locally or online in single spools, so I was delighted to discover that Enmart carries it. Thank you Enmart for carrying quality thread at a reasonable price and for providing fast delivery.